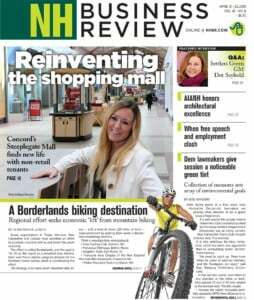 For the first time since the recession, a month has gone by without a single New Hampshire business filing for bankruptcy. There were five filings of individuals with business-related debt in October, the same as September, but no business filed itself. In October 2012, 11 businesses filed for bankruptcy. Altogether, some 141 households filed in October, eight more than in September, though seven fewer than October 2017. There have been 1,467 filings year-to-date, maintaining the average of 147 a month or five fewer than last October, the first year that the number of bankruptcy filings rose, though very slightly, since the recession.